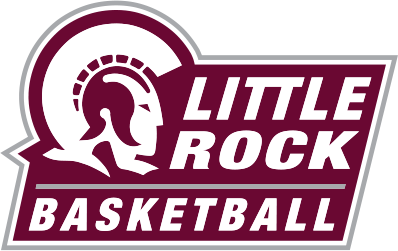 Before they left for their final regular season games and the Sun Belt Conference Tournament, the Little Rock (LR) women’s basketball program sat down with the Forum to take part in the “10 Questions” interview series. The Forum wants to thank the team for their honesty and humility. The team repeated as regular-season Sun Belt Champions, earned a perfect home record in the conference, and a near perfect overall conference record. LR cut down the nets in front of their home crowd and enter the tournament the target of other teams. Coach Foley added another 20-win season and Sun Belt regular-season Championship to an already storied hall-of-fame career. The championship marks his fourth in the last five years. A 57-37 victory over ULM on New Year’s Eve made Foley the 12th Division I head coach in NCAA women’s basketball history to earn 750 career wins. Question: What is the key to your success? Question: What is the key to this team’s success? Question: How rewarding was it for you all to cut down those nets? Question: Other than basketball, what is the one thing you want players to feel you have instilled in them? Question: When I say the word dedication, what’s the first thing that comes to mind? Question: What team do you all want to see in the Sun Belt Tourney? Question: What is the feeling of playing in the tournament? Team laughs and agrees on Raeyana Degray and Collier. Question: With this team’s success, how do you all stay grounded and humble?